Peanut Butter and Jelly. Sonny and Cher. Sunday and Football. Some things were just made to go together. What about peanut butter and meatballs? Charlton Heston and Cher? Sunday and chores? True, they are still food, celebrities, and something to do on the weekend, but they’re not the same, right? 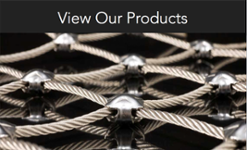 This is what you get when you match the performance and reliability of Military Specification aircraft cables or the proven value of domestic wire rope with a cheap, off the shelf pulley or sheave. It may appear that you have a pulley and cable system that has been designed properly, but do you? A while back we explained the difference between “In accordance with” the specification and the actual certified product. Basically, just because it meets a few of the size characteristics or strength characteristics, Mil-Spec isn’t Mil-Spec unless it’s been tested and certified as such. In the case of pulleys and sheaves, you may have the dimensions that match the proper pulley diameter to cable diameter ration (D:d), but what about all the other requirements? Military specification pulleys have been designed with the proper materials, groove sizes, circumferences, bores, etc. to work with the many sizes of military specification aircraft cable. 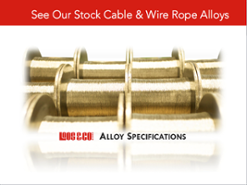 You will get the maximum performance out of rope and sheave by specifying these together, and by insisting that the pulleys and cable carry the military specification certifications, complete with test results. That way you know you are meeting the highest standards for performance and safety. So for your next project, work with military specification pulleys and sheaves to ensure you have the best possible design. Add the performance and reliability of Military Specification aircraft cables to get the most out of your pulley and cable system. 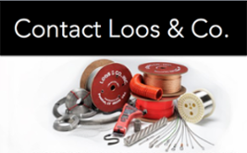 For assistance you can call us and any time to discuss the available options for your system, as we carry both the aircraft cables and the pulleys that you need.